McDonal’s has opened its first restaurant in the largest city in the Southern Provinces, Laayoune, on a surface area of 1,137 square meters. The restaurant lies at the heart of the city adjacent to the Dcheira Battle square and employs 200 people in direct and indirect jobs. The project is the fruit of the investment forum held in Laayoune in 2015. This investment is reflective of the environment of peace and stability in the southern provinces conducive for the attraction of investments by multinationals. 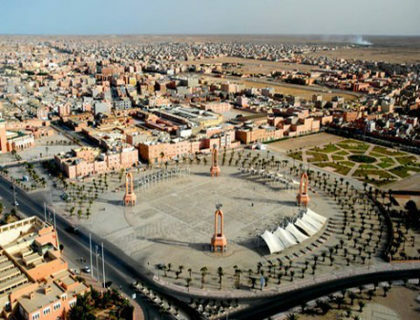 Since it retrieved the Sahara from Spain in 1975, Morocco has been leading tireless efforts to upgrade the cities of the region, which now boasts development index higher than the national average. At the international level, Morocco has also led a diplomatic and political battle after the 1991 ceasefire to defend its national sovereignty and the centuries-old territorial integrity of the country, of which the Sahara is an inseparable component. Newer PostIs Morocco Becoming a New Migration Route to Fortress Europe?